Nothing in this section shall prohibit recreational campfires. 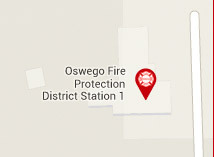 The setting of fires by the Forest Preserve District of Will County on property owned or controlled by it, to perform prescribed burning for natural community and habitat management. Small open flames for heating tar or for welding, acetylene torches, highway safety flares, and the like.